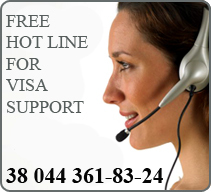 Current legal system provides such type of visa as business visa (B), which issued for a period from 1year and gives multiple entries to Ukraine. Business visa issued by the Embassy or by the Consulates of Ukraine abroad for such categories of persons, who are planning to enter Ukraine as co-founders or representatives of companies (firms, associations) to monitor implementation of contracts or as consultants from foreign companies, or as staff representatives of foreign business entities in Ukraine based of an invitation issued by the Office of Citizenship, Immigration and registration of individuals by the MIA of Ukraine (further, UGIRFO). 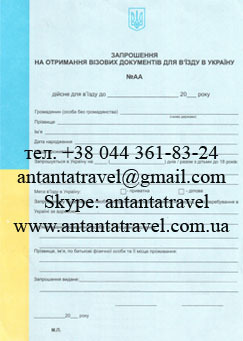 Availability such type of visa does not authorize employment in Ukraine. 2 photos size 3,5 x 4,5 of the legal entity and responsible staff. Employees UGIRFO may request additional documents in order to identify the circumstances preventing the issuance of invitations. For the issuance of an invitation is required to pay for information services UGIRFO. Period of issuing the invitation is 21 working days.